Grade 4: £21,220 - £24,565 p.a. 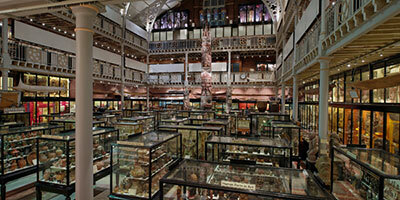 The Pitt Rivers Museum is seeking six Project Assistants for a fixed period to work as part of a team to document, pack and move objects in a significant reserve collection currently housed in a large split-level off-site museum store. The Project Assistants, coordinated by the Team Leader, will be required to participate in the documentation, packing and storage of objects in a safe manner and within the project deadline. 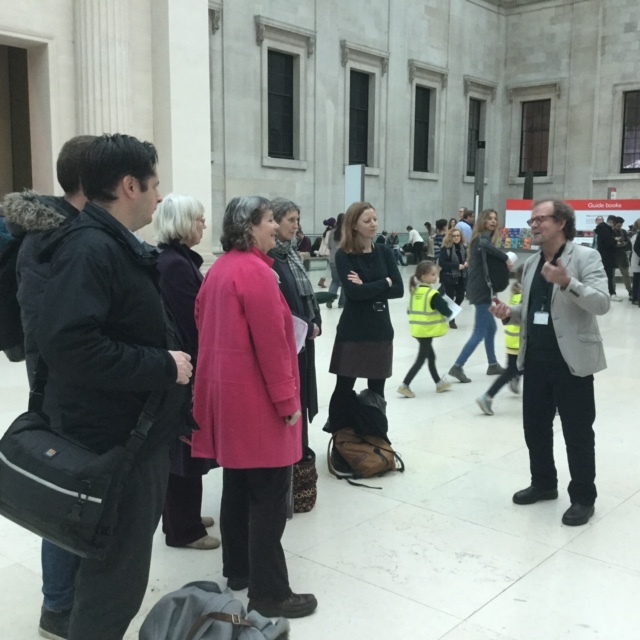 The project team will be responsible to the Museum’s senior staff, including the heads of collections and conservation sections, working ultimately to the Museum’s Director and Head of Administration and Finance. The post will be based in a museum store and requires standing, regularly using stairs, and lifting objects and packed boxes. Full details of the post are available in the job description. The essential requirements include experience of working in a museum or equivalent heritage site; understanding, knowledge and experience of handling and packing complex and delicate organic artefacts and familiarity with the principles of museum security, museum storage of objects, museum conservation and handling of museum objects; ability to use critical thinking and independent judgement to interpret objects and information about them against standardised guidelines; and a proven ability to work effectively as part of a team. Currently, there are six posts available. The six posts are fixed-term until 31 December 2017. The closing date for applications is 12.00 noon on Friday 6 January 2017. Interviews are likely to take place in the week commencing 23 January 2017 with a preferred start date of 13 February 2017. ‘South Africa – Art of a Nation’ runs until 26 February 2017 at the British Museum. It is an exhibition that took more than two years to develop and involved partnerships with 12 institutions in South Africa and 20 contemporary artists. 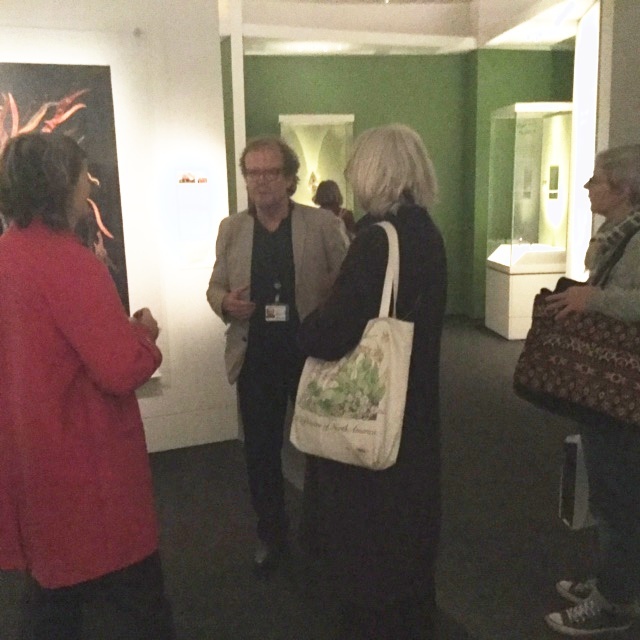 Chris Spring took 9 MEG members round on a curator’s tour on Thursday 8 December. We began in the Great Court standing beside the BMW car painted by the artist Esther Mahlangu in 1991. 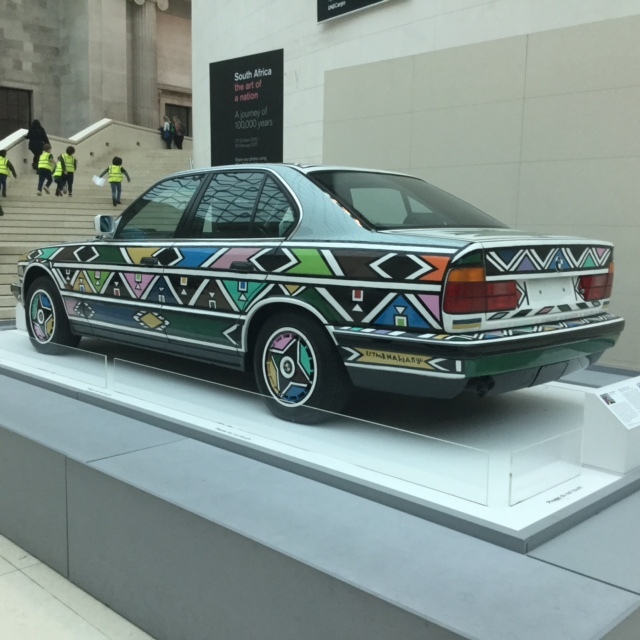 She was invited to paint BMW’s 12th art car to celebrate the end of apartheid, and BMW paid for its transport to the exhibition. Esther herself came over to see her work on show, and appears in one of the films of visiting artists made by the British Museum. Another short film shows the car being installed. The exhibition home-page has film of artist Lionel Davies with his piece that includes a street map of District 6, and a self-portrait. Mary Sibande’s film interview is also here, describing her ‘Reversed Retrogress’ work in which two women face each other, one representing her grandmother, and another in purple, herself. Purple was the colour of the dye that the apartheid police laced their water cannon with, which was later turned against them. Thank you to Chris for taking the time to show us round. More and more exhibitions and displays are addressing religion and heritage. These projects are sometimes in museums and sometimes in places of worship, but they all seek to present religion (however defined) to a general public audience. This informal workshop will bring together reports on some of the more recent. The aim will be to enable people involved in new projects to exchange information and ideas. 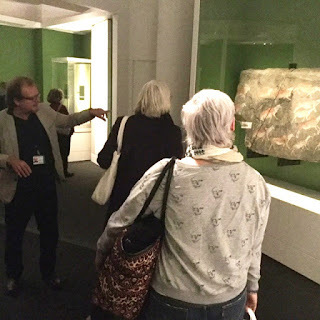 Venue: Institute of Archaeology, Gordon Square, London, Room 612. Nearest tubes: Euston / Euston Square. Format: twenty-minute presentations, with an introduction and time for discussion. Catering: teas/coffees will be provided, and participants invited to contribute to the cost. Packed lunches can be eaten in the Common Room or lunch obtained locally. Chairs: Crispin Paine IoA UCL and John Reeve IoE UCL. Lucy Trench: Religion in the V&A European galleries.